DescriptionAdding a truly festive feel to your table settings, these gorgeous silver baubles are part of the elegant ‘Shimmering Snowflake’ range. With their shiny silver glass design, these baubles make a real statement – simply pop a place card into each holder to direct your guests to their seats. Adding a truly festive feel to your table settings, these gorgeous silver baubles are part of the elegant ‘Shimmering Snowflake’ range. 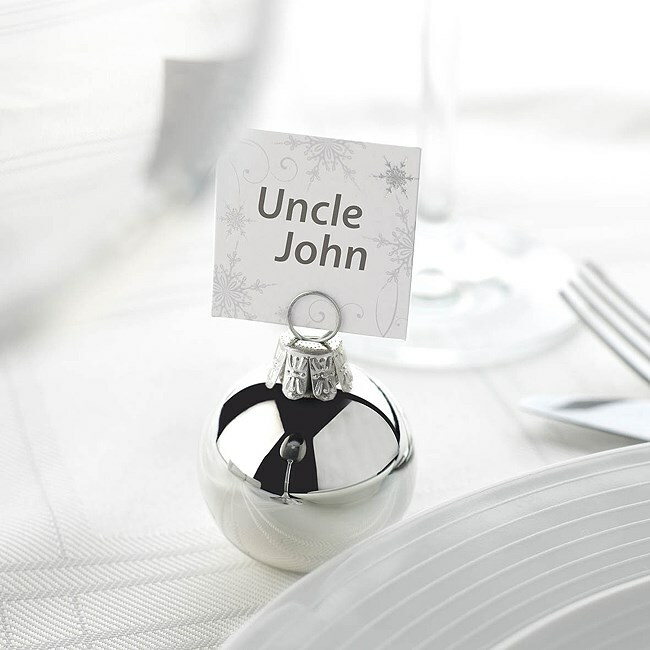 With their shiny silver glass design, these baubles make a real statement – simply pop a place card into each holder to direct your guests to their seats.